The Witcher 3: Wild Hunt can be a brutal game. Succeeding in combat requires good reactions, a knowledge of your limitations, experience with your current enemy type, and a good grasp of your magical signs. On the harder difficulties, one wrong move can be your end, while even on the easier difficulties, you still need to have a firm grasp on the fundamentals to survive. With this in mind, we've jotted down three quick tips for the inexperienced among you; those that need a bit of guidance when it comes to taking down your prey. With any luck, they'll put you on the path to becoming a worthy Witcher. Easier said than done, right? But it's true – if you don't get hit, you don't lose health, and that's why evading your opponent's attacks is the very essence of survival in The Witcher 3. You have two means of dodging an onslaught. The first is to hit circle, which acts as a sort of sidestep that's ideal for evading quick blows and hitting back with your own attack. The second is to tap X, which will make Geralt roll in whatever direction you're pointing the left analogue stick. The former, as mentioned, is perfect for dodging those smaller attacks. A human-sized monster like a drowner swings its claws at you? Hit circle and avoid it, then lay into it with a flurry of sword strikes. However, sometimes, especially when you're fighting bigger enemies, your sidestep simply doesn't cover enough ground to avoid getting hit – but your dodge roll is tailored specifically for these encounters. A general rule to play by is that the bigger an enemy is, the more likely that X is going to be your go-to dodge button. Just mashing the two evade buttons will get you nowhere, though. Watching your enemy carefully, and then only dodging at the right moment is key to taking down the most troublesome foes. For many enemies, this comes with practice, as you learn their attack patterns. For others, it's easier to tell when they're making a move. Look for telling signs of an attack, such as a griffin's circling flight, which suggests that it's building momentum for a heavy swooping strike. 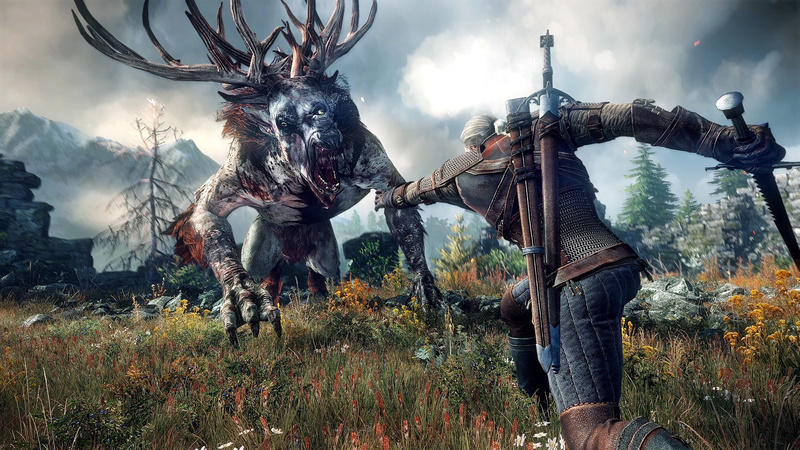 Yes, there is a block button in The Witcher 3 – but you should never solely rely on it. 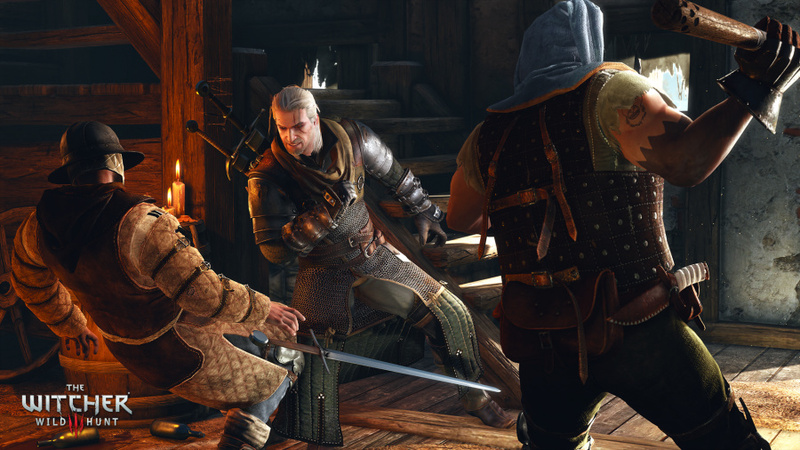 By holding down L2, Geralt will enter a defensive stance with his blade. While this is an undoubtedly handy technique – mainly because you can still move around while blocking – the fact of the matter is that you can't block everything. Smaller attacks such as a wolf's bite or a bandit's sword swing can be deflected with ease, but anything heavier will either stun you, leaving you vulnerable for a follow-up blow, or it'll simply smash straight through your defence and take a nice hefty chunk out of your health bar. Generally speaking, the powerful attacks of larger enemies can't be blocked, so dodging is always your best bet against anything that's the size of a griffin or bigger. However, smaller foes can be just as dismissive of your guard. For example, nasty foglets – monsters that materialise in and out of fog – will break through your block with just a couple of attacks. The first strike will bounce violently off your sword, momentarily stunning Geralt, and the next will cut straight through because of this. Unfortunately, this goes for many smaller beasts – the likes of drowners included. In some of these situations, it's even possible to argue that you'd have been better off taking the first blow and then dodging the second. As such, you should only ever block when you're sure that you can get away with it. That said, it's well worth noting that you can block and dodge at the same time by holding L2 down as you perform your evasive techniques, which can be useful when you're up against groups of monsters that may otherwise get one or two quick, blockable jabs in. Every magical sign has its uses in The Witcher 3, but we'd argue that quen's the most important of the lot – especially when it comes to survival. Casting quen takes but half a second, and it coats Geralt in a magical shield that absorbs damage. How many blows it can take before expiring depends on how much you've upgraded it, and how much damage your foe's attack is doing in the first place. However, with the right application, you can best powerful enemies without losing even a hair of your health. Quen is helpful against any opponent because it basically allows you at least one free pass. Foes will have to break the shield to get to your health bar, but to make the absolute most of it, you'll need to be careful. When quen is broken, stay alive long enough and you'll be able to cast it again when your stamina regenerates. Although this means that you're going to be saving your stamina exclusively for quen, it potentially means that the enemy will never touch your health bar, because you'll always have a shield ready for the next blow. Of course, this tactic isn't foolproof, because it relies on your ability to continually recast quen – and that can be a tall order against foes who are able to smash the shield and hit at your health in two quick attacks. However, the benefits of getting it right can be game-changing, especially if you're still finding your footing when it comes to combat. Things get even better when you invest a few skill points into quen, too. The sign's second upgrade, 'Active Shield', can be an absolute lifesaver when used correctly. The drawback, at least before you upgrade it further, is that maintaining the shield and blocking attacks with it costs stamina. Instead of tapping R2 to cast quen, you can hold the trigger down to form a bubble shield around Geralt, which protects from all angles. If you're having trouble in combat, we can't see any reason not to invest in quen and its subsequent upgrades – it's a survival essential. Have you got any tips for making it out of combat in one piece? Do you even find the game that difficult to begin with? Casually roll into the comments section below. Quen is a must on hard, and keep your hard alcohol stock high to top up potions and bombs during meditation. Also, food. Lots of food. Hard mode is a witch. Those guides make me think that you can consider pushsquare readers as idiots. Yeah regarding the block button... the game tells you that block doesn't work for monsters and is best to be used solely against human enemies, and even then it doesn't work on humans with heavy weapons. God I love that trailer. Its making me want to put the witcher back on, but I've been on it all day, so I won't. Thank god its a bank holiday weekend! 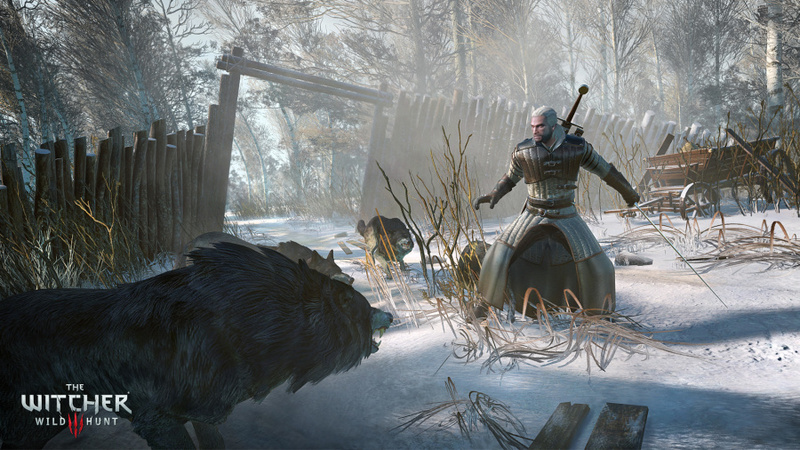 @Gemuarto Just consider The Witcher 3 to be both a popular and pretty tricky game is all. @AFCC i found that out now i have 2 failed missions from the first area. Oh well, just another reason to add to the list for a second playthrough! You are either exaggerating or how some very bad luck. I'm 30 hours in and have had very few problems. Nothing game breaking or anything that effected me completing a quest. Well...I just reload my PS4 and did the quest -.- but it's really annoying, I quit playing Dragon's Dogma because of the same thing. Also I only had 1 glitch where the water margins became black colored xD really weird and made my eyes hurt! I for one have enjoyed the guides. Still sitting on the fence about this, I really like the look of it, but am unsure if it will be too hard for me. I like a challenge, but Bloodborne was just not enjoyable for me, would I be ok with this? @Gemuarto I recently beat Bloodborne, and I'm used to old school difficulty on games, I've been playing for nearly 25 years. 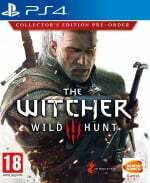 The witcher has some difficult combat and I found this guide useful, I'm sure others will as well. With regards to your comment on glitches, I've had the odd stutter but nothing game breaking. Just save manually every now and then and you're fine. @ShogunRok I've heard on some other sites that it's a good idea to play on a harder difficulty from the start, as otherwise the latter parts of the game are a bit easy (enemies don't scale to level). Would you say this is a good idea? I'm struggling a little in places but nothing too frustrating, but I don't want to drop the difficulty down as I don't want to walk through the last half of the game. @Clevz21 it's not as difficult as bloodborne on the whole, but it's a very "PC" feeling game. It's excellent, and I would personally recommend it, but bear in mind that you get out what you put in. @Clevz21 I mean that the menus, interface etc all feel like a PC RPG as opposed to a console one. Think Diabolo III. That was a pc game ported to the PS4, this is similar. The text on menus is very small (I'm playing on a 42" tv) and occasionally hard to read. The menu system, health bars, enemy details etc all feel like playing a PC game. @Johnnycide That's a good question. I can kinda see how the game might end up getting easier on easy, because as you get better skills you'll be doing massive damage, since the lowest difficulty already cuts enemy health quite a bit. I think if you started on one of the harder difficulties, it may get frustrating if you keep running into powerful enemies purely out of bad luck. Of course, you've got no choice if you want to get Platinum in one playthrough, so it's a tough one. Honestly, if you're not bothered about trophies, I'd say start on normal, and change the difficulty as you go. If you're finding it a slog, knock it down to easy, and then if that proves too easy, try hard until you find a balance. Personally, I played most of the game on normal when I was reviewing it, but I did try out the other settings to see how they were. By and large, normal provides a decent enough challenge without getting too frustrating. @BAMozzy - Yep, knowing your enemy is huge in this game. The Beastiary is your friend haha. @Gemuarto I think you need to be nore specific, because Im far enough into the game to notice any real issues and Im yet to see a single fault sans minor frame rate drops. @Splat 15 hours in and no glitches at all. Ive found even much harder enemies can be beaten with the right preparations, blade oils, bombs etc. And that makes me feel like if I get ruined, I must have missed a prep or made a mistake somewhere. Preparation is definitely key to success and knowing what is required to give yourself an edge. Its no point in relying on Quen - although helpful - can just prolong the fights. No point using it exclusively if a combination of Igni and the right oil will make the fight quicker and easier. @Johnnycide Oh, I beat Bloodborne very long time ago, on platinum. And playing this game on highest difficulty and find myself using Quen less and less... I think it's useful when you afraid some unexpected atttack or to learn enemy patterns... Best strategy is to experiment with everything you've got, if finding yourself unable to defeat some enemy. @Gemuarto Really now, what are you, like 8? Still waiting on your specific glitches and such. The simple fact you are still yet to produce any specific information and are retorting with ill thought out and tired "insults", tells me, you are most likely just a troll with nothing of worth in your life besides insulting others on the internet. @ToOGoodOfAPlaya it is very noobish way of thinking. Do you really think that I'll write a loot of text just to prove some noob something. But you need to be a noob and play as a noob to not see any glitches. @Gemuarto That literally made no sense at all. And you STILL have not yet specified anything, nor shown any proof. I must be bad at a game, as that is the definition of noob, because I cant see any glitches, irrespective of whether they have happened or not? Seriously, you cant make this kind of backwards, idiotic rubbish up! @AFCC I had my first 'failed quest' last night, it seemed quite important but luckily I had an autosave that took me back enough to correct it. I agree with the weapon degradation being a minor pain in the arse, it seems that i'm constantly looking for the nearest blacksmith to fix my damaged swords.